I don’t usually post on weekends, but this definitely warrants a post! Fitcode is on FIRE! Just last month, the fast-growing online denim fitting service ran a contest to introduce new faces to their unique process by encouraging them find their own fit and enter to win a new pair of premium jeans. 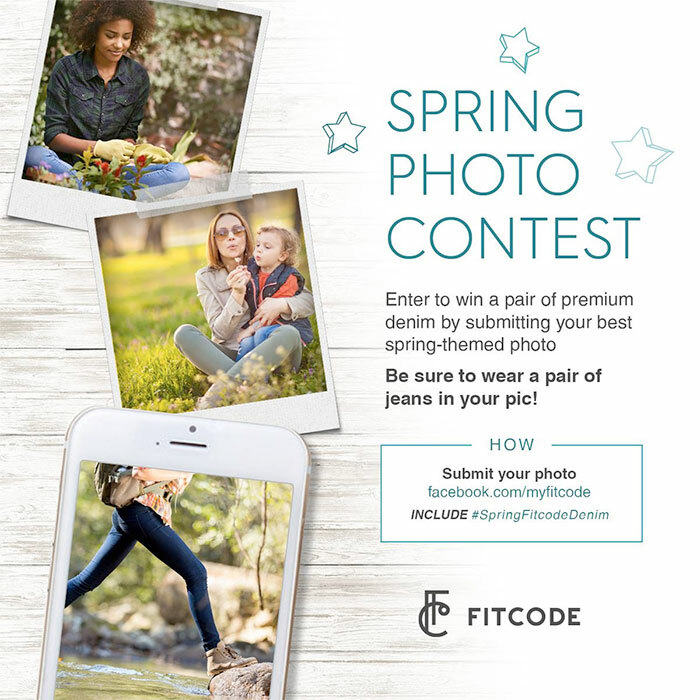 Now, until April 3, Fitcode is running a Spring photo contest with the same fantastic prize! I’ll rewind a bit, for those of you reading this who may be hearing about Fitcode for the first time! This is a revolutionary new way to ease your online denim shopping woes, by assigning you a “Fitcode” number through a short quiz, which hits points like your body type how jeans normally fit you. This number then refers you to all sorts of jeans from a wide variety of premium brands that are best suited to fit your shape. Last June, I ran through the process myself and Fitcode was amazing enough to send me a pair from my results! I wrote about the entire process to present this totally rad business model to my readers. You can check that out here! 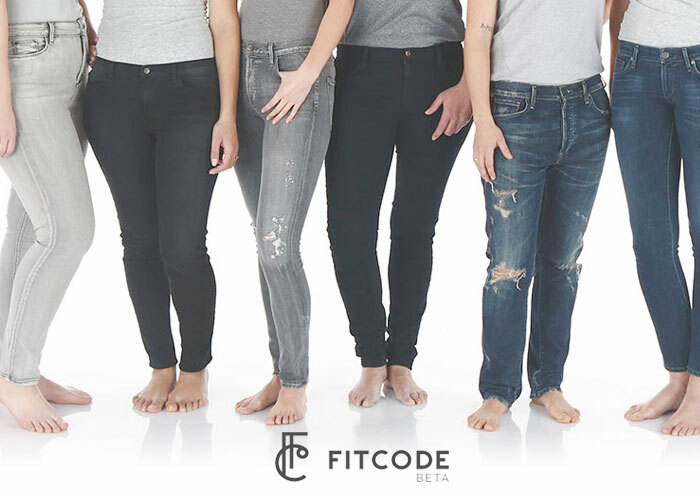 Fitcode is so excited about their success and seeing fans sending photos of their new favorite jeans found through their service that they are offering this second chance to win a pair (valued up to $200) through a photo contest! For your chance to win, get creative and submit your best photo of yourself doing what makes you think the most about Springtime, while wearing a pair of jeans of course! Winners will be judged on theme and creativity. There are several ways to enter! Enter through the main contest form here. You can also visit the Fitcode Facebook page at www.facebook.com/myfitcode, and enter through the Photo Contest tab. If you’re a social media queen, you can also enter by posting your photo on Twitter or Instagram along with the hashtag #SpringFitcodeDenim. If you go this route, pictures framed in a square are preferred! As mentioned, this contest ends on April 3rd, so get going, and good luck! I feel lucky in the sense that typically ordering jeans online isn’t too tough for me, thanks to my years of working for Denimology and generally being a little obsessed…so I know how certain brands will fit me and which of their denim cuts fit me the best. However, I realize not everyone is that geeky, or cares to be that geeky…and even I every now and then have a miss or two when shopping online. 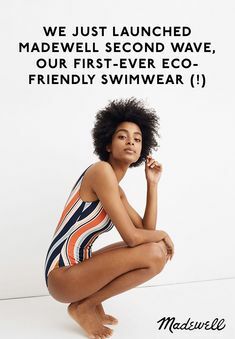 Fortunately, there’s Fitcode, a revolutionary new shopping service that matches you with your new favorite pair based on a quick and easy fit quiz! Last June, I had the pleasure of working with them, running through the fit quiz myself and choosing a pair which was generously sent to me by the girls behind the service themselves. The result was a pair of Citizens of Humanity Rocket skinnies that fit me better than most I own! Read all about my quick, easy and fun experience with the service and how it works here. I haven’t posted a lot about it, as it is still fairly new to me and I’m working on breaking in a couple of my own pairs, but raw, selvedge denim is usually seen as the jean of the discerning denim connoisseur. Unlike most jeans on the market, they are basically untreated and unwashed, allowing wearers to break them in and earn those fades and distressing on their own, for a custom look that represents their lifestyles! Selvedge denim is just as, if not more, coveted, as it is a higher quality fabric created on vintage looms, retaining the striped “self edge” of the fabric sheet which an be seen on the outer cuffs and oftentimes the 5th pocket (you can see me sporting a selvedge pair by Levi’s here, by Cult of Individuality here, and by STRÖM here). A good pair of raw selvedge jeans is the ultimate, quality piece for denim fans everywhere, and PRPS is a leader in some of the best raw and selvedge denim around! The PRPS raw line is truly coveted around the world, as the fabric, manufacturing and washing is done in Japan…the capitol of raw denim. 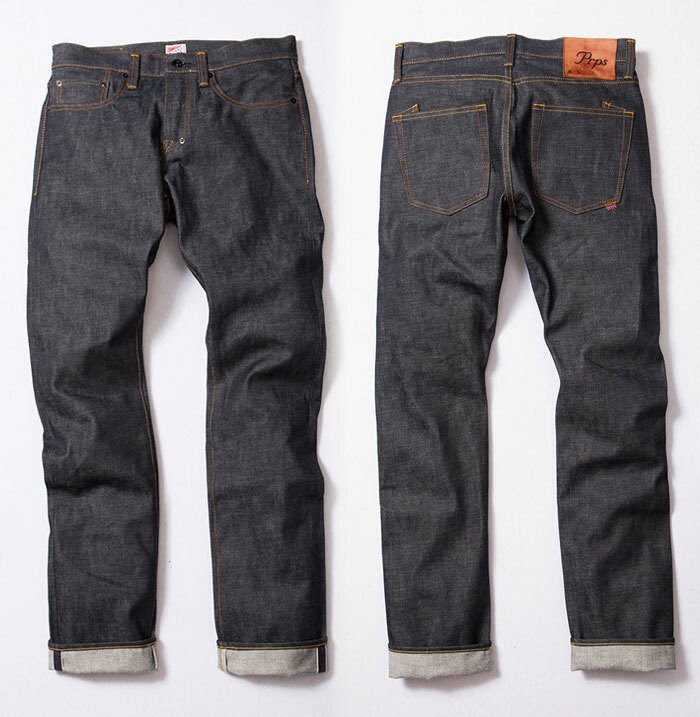 If you have been dying to break in your own pair of premium raw denim, now is your chance to get your hands on a pair! Denimology and PRPS have partnered up to offer an exclusive pair of PRPS Noir Japanese Raw Selvedge denim, which is not available in any store. This is a prized piece to wear with pride! I initially wanted to call this post “The Many Faces Of…”, but that would have been too long. I’m so stoked to have been introduced to this brand through my reviewer/contributor stint at Denimology over the years, because there are few that embody the vintage/edgy/moto/selvedge/quality appeal like Cult of Individuality! I reviewed the gorgeous coated Moto Midrise Skinny in Black as well as the super distressed selvedge Alter Ego Boyfriend and I absolutely love them both. This brand was born in 2009 and is doing quite well amongst celebrities and bloggers…they even hired the beautiful Ruby Rose and Aaron Paul in a few marketing campaigns lately (totally awesome choices)! The Zen Midrise Skinny is another favorite which I have not had a chance to review yet, and it’s probably the coolest style due to the “many faces” it comes in! Printed, coated, moto, distressed, you name it…they all just look so cool together. 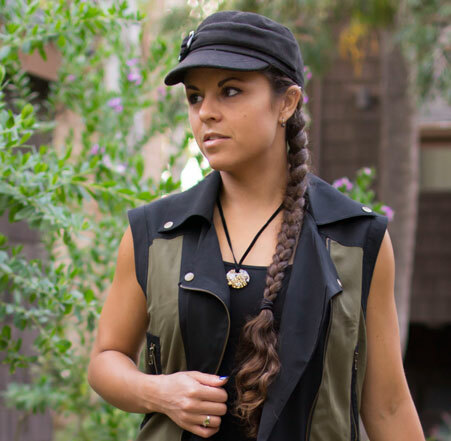 I figured it was about time to share my love for this brand, along with a giveaway we are running through Denimology to win a $2,000 gift certificate to Cult of Individuality! Hurry though if you would like to enter, because it ends tomorrow (Thursday, December 31). I’m finding it awesome and kind of exciting that this week’s posts seem to fall right in line with the fact that Burning Man is occurring as I type. Since I can’t attend this year, at least I’m living it vicariously through a few blog posts! Today’s post elaborates on a brand I highlighted on a previous post, Party Worthy Athletic Leggings. Since this brand is far more deep and colorful than a little feature as part of a collection of features, I figured it definitely warranted its own post, and many more in the future. TUYA, which stands for Turn Up Your Awesome, is an incredible brand that represents charity first, and apparel/accessories second. I discovered them at Lucidity Festival this year, and I’ve been a giant fan since. I’ve been in touch with them to help them get their word out, so I’ll be writing a lot more about them later on! TUYA is run by Founder/CEO/Director of Awesomeness Drew Stern, and is “is a lifestyle empowerment brand on a mission to challenge and encourage people to live their lives to their truest & highest selves, while bringing awareness and solutions to important social causes.” The brand was born when Drew traveled to Guatemala in 2010 and met Juanita, a local woman who made a living off baking and selling bread. Drew fell in love with her ambitions, and began creating tee shirts featuring her face and sales pitch (“¿Quiree Paaaan?”) to help her out. Ten percent of sales went to her, and Drew quickly realized how beneficial it is to be selfless, and developed a mission that whatever he brought into the world would also be to also benefit the greater good. TUYA was born shortly after! Harvey Prince Signature Mini Roller Review plus Special Offer! It wasn’t very long ago that I wasn’t much of a fragrance person…I’d only use scents for special occasions. 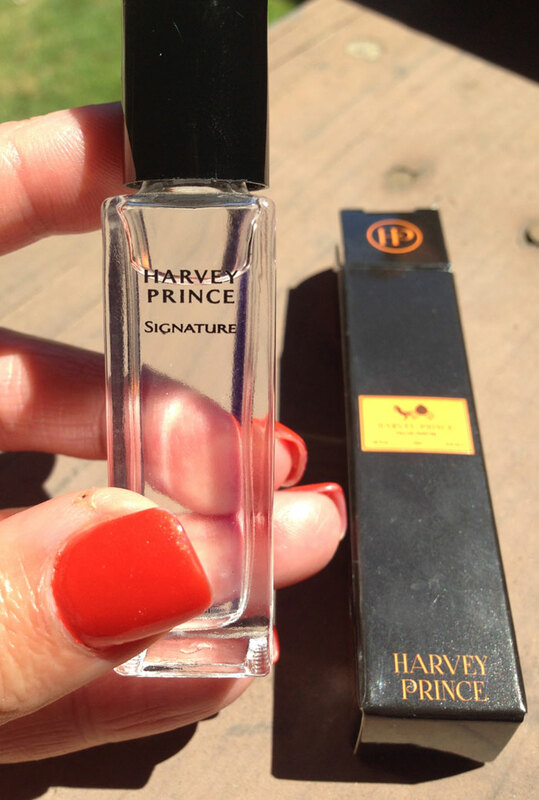 But, as I recently wrote in a post earlier this month, there’s one brand that’s changed my mind…Harvey Prince! I posted on June 15th about their many mini rollers, which are awesome little samplers (or collectibles), of each of their best fragrances. As previously discussed, I’m subscribed to their newsletter, and every so often Harvey Prince sends out offers for these little rollers to get one pretty much free—you just pay shipping! I love their fruity, refreshing scents and best of all, all Harvey Prince fragrances are 100% cruelty free, with no animal ingredients or derivatives. They are also free of toxic chemicals such as phthalates, parabens, sulfates, benzene, GMOs or triclosan. I made up quite a collection but there was one I was still missing…their Signature scent! Harvey Prince was awesome enough to send me one to fill in this vacant spot on my bathroom shelf, and I’ve got to say it turns out to be great competition for my other two favorites, Ageless and Sincerely. Keep on reading to find a special offer I’ve included for my readers, also thanks to Harvey Prince, for a free Signature Mini Roller so you guys can all try out this marvelous brand for yourself (just pay shipping)! We’ve been ranting and raving a lot over at Denimology about Marc Allison…out of all the fast-growing denim brands out there, they are definitely one of the few in the front of the pack! I’ve done a couple of reviews for them and I am always aching to try out more of their luxuriously soft, durable denim that never ever stretches out and fits you like a darn glove! As a refresher, Marc Allison is a Los Angeles brand, founded in 2009 by husband-wife team Marc and Allison Flashberg. Flashberg previously accumulated 30+ years of experience working with other premium labels which definitely contributed to his new impressive brand! Marc Allison Jeans incorporates X-Fit stretch and Supima cotton for a truly impeccable fit and feel that won’t bag out or stretch. I remember these jeans quickly became a celebrity favorite because of this “T400” technology (which he developed with Invista, a global producer of polymer and fibers, to create a yarn that stretches in all directions) that offers four-way stretch with excellent comfort and recovery that moves with the body like a dream. Left is the Gina Mid Rise Slim Boot in White, which we also had a giveaway for in May on Denimology. Right is the Shirl Classic Bell, proving that there is no need for the bell bottom to go out of style! They certainly changed my mind about them. Also on Denimology, we recently featured all of the juicy details of Marc Allison’s impressive wash process, and a bunch of fun facts about the fabric itself. If all of this is enough to make you crave a pair of Marc Allison jeans for yourself (I don’t know how this wouldn’t), well now’s your chance. Denimology is hosting a giveaway for the last week of May, from the 26th to Sunday the 31st. All you need is an email address to enter! If you’re the lucky winner, you will get a chance to choose which ever jean suits your fancy. Snag your chance to rock a pair of Marc Allison Jeans, enter the giveaway at Denimology here!